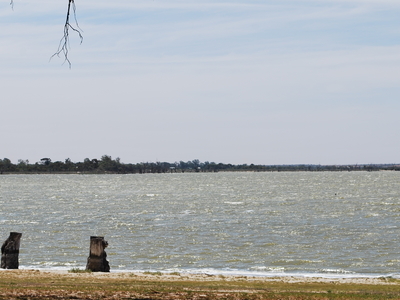 Lake Bonney S.E is a coastal lake in the south east of South Australia. It is one of the largest freshwater lakes in Australia. The lake is located 450 km (280 mi) south east of Adelaide and 13 km (8 mi) south west of Millicent. The Canunda National Park lies adjacent to the lake shore. For over 60 years, large volumes of wastewater from nearby pulp and paper mills have adversely affected the health of the Lake. Here's the our members favorite photos of "Lakes in South Australia". Upload your photo of Lake Bonney S.E!